The SS Tahoe on Lake Tahoe in the early 20th century. Image courtesy of the National Park Service. Download image (49 KB). On June 7-8, 2016, a team used OpenROV submersibles to explore the SS Tahoe shipwreck. They documented the expedition and engaged virtual citizen explorers online and demonstrated best practices for citizen exploration. When the community of ocean explorers met for the first National Forum on Ocean Exploration in 2013, they identified citizen exploration as an important component of a new, coordinated ocean exploration program. They said that as the cost of technology dropped and capabilities grew greater, more and better tools would be available to those who wanted to become explorers in their own right—and that these new citizen explorers were poised to make important contributions to our understanding of the ocean environment. Increasingly, citizen scientists are able to contribute by annotating data sets or by helping to annotate images collected during ocean exploration conducted by large ships and deep-diving remotely operated vehicles. Citizen scientists can participate in deep-ocean exploration in real time by calling up live feeds from telepresence-enabled expeditions on their computers and mobile devices. But citizen explorers are now conducting their own expeditions using new affordable, capable tools. Few ocean science expeditions are conducted by solitary individuals. Almost all are organized and executed by a community of explorers and supporters. Citizen exploration is unlikely to be different. Congress charged NOAA with coordinating a national ocean exploration program. We see the national program as a confederation of stakeholders from government, the private sector, academia, and foundations. While NOAA conducts its own ocean exploration expeditions and funds others, we are also facilitators for others’ expeditions and contributions. We work with the community to advance opportunities and priorities identified through regular National Ocean Exploration Forums and other events that bring the community together. The Return to the SS Tahoe expedition is not a NOAA expedition, but it is an opportunity for NOAA to help support a new citizen exploration model. The OpenROV organizers asked the NOAA Office of Ocean Exploration and Research (among many others) for advice. They designed their expedition with careful attention to the telepresence model the E/V Nautilus, NOAA Ship Okeanos Explorer, and other ships use to engage on-shore science parties and the public during expeditions. More importantly, the Open Explorer community is keen to demonstrate best practices that can be adopted by the citizen exploration community at large. Experienced marine archeologists from the California Department of Parks and Recreation have advised the OpenROV team on expedition planning and will help guide the dives and participate in dive debriefs. 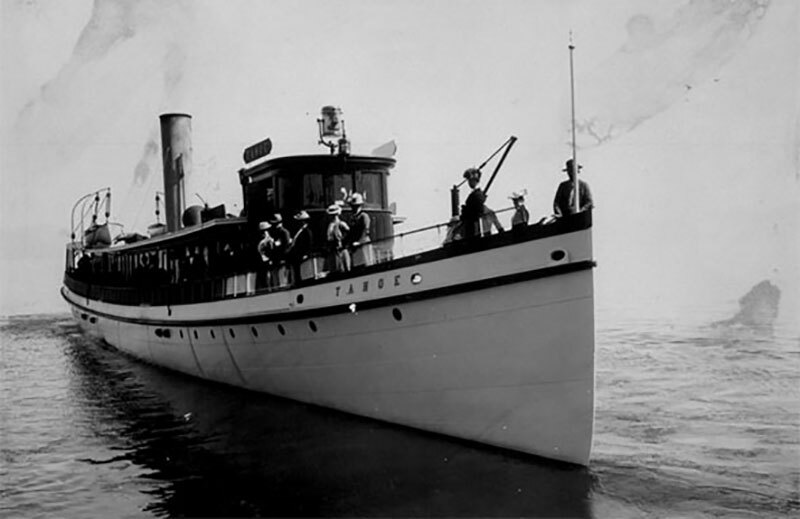 Their expectation is that the citizen exploration model will become a useful tool for marine archeologists: community expeditions that follow the Return to the SS Tahoe could help survey and monitor wrecks and other features in partnership with the institutions responsible for managing these historic sites.